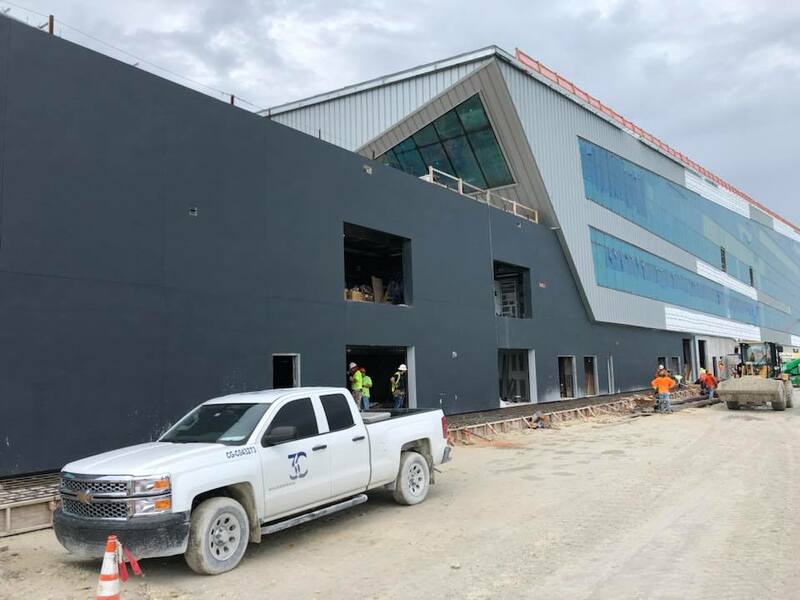 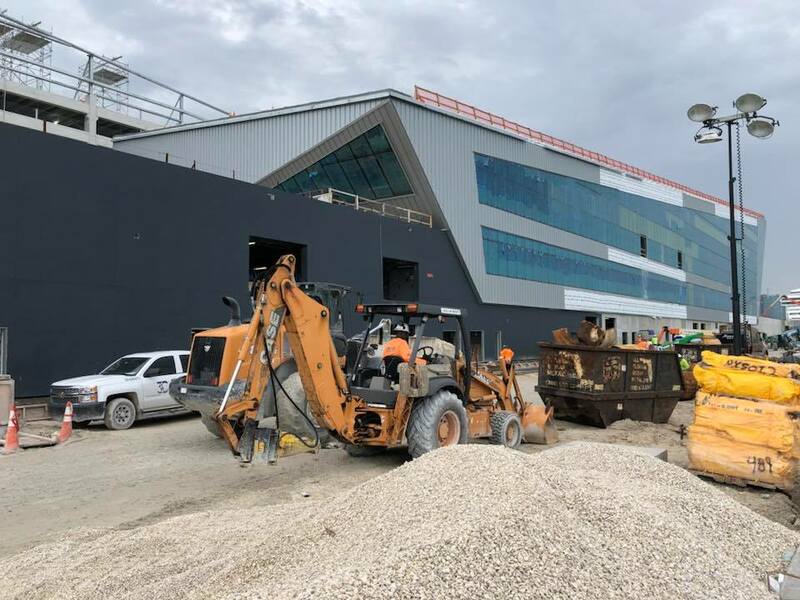 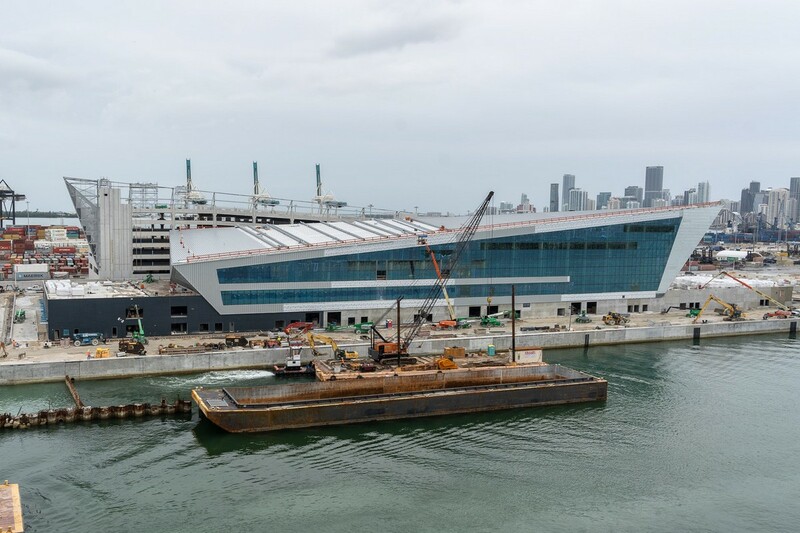 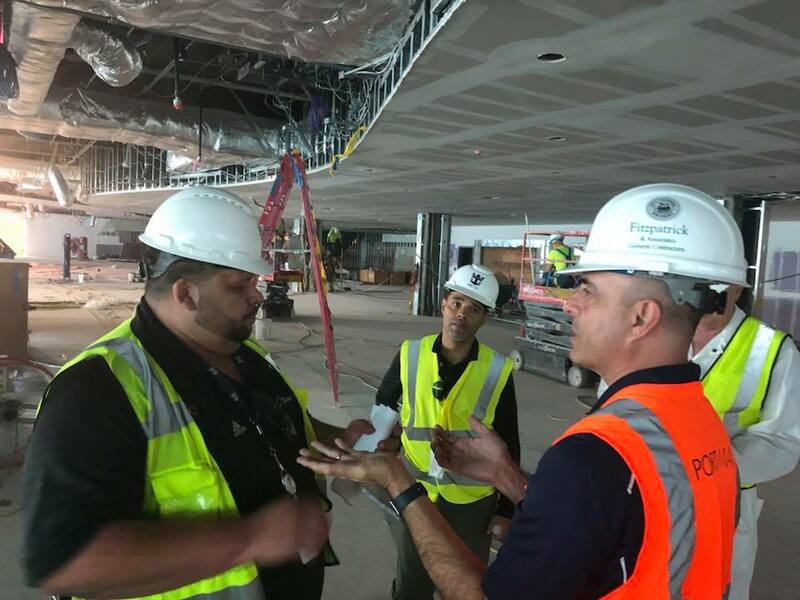 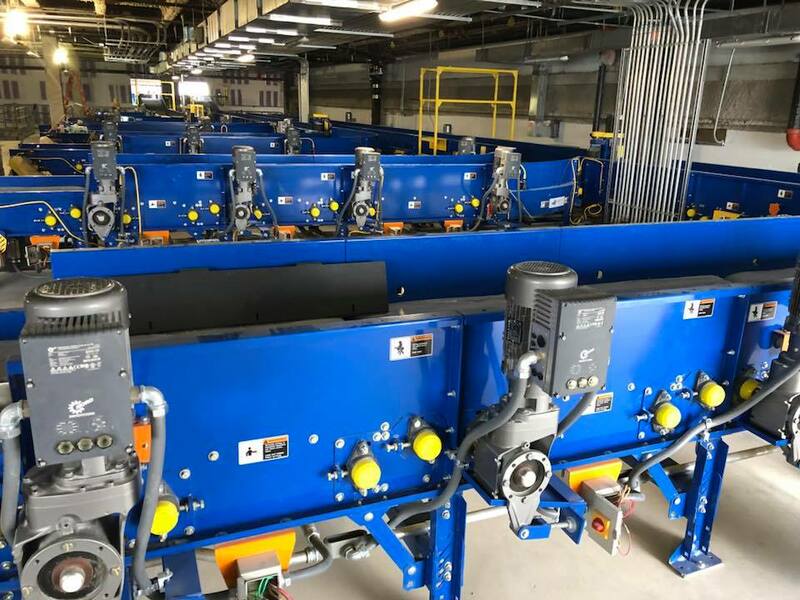 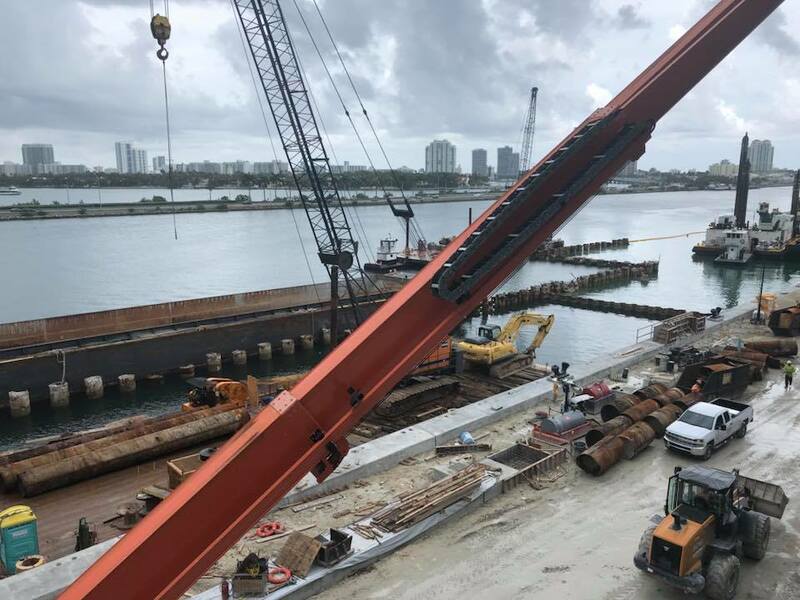 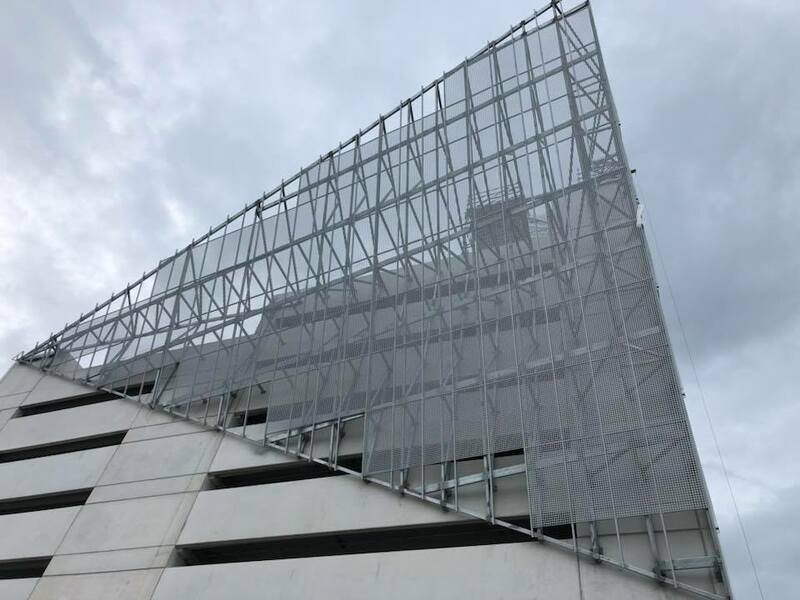 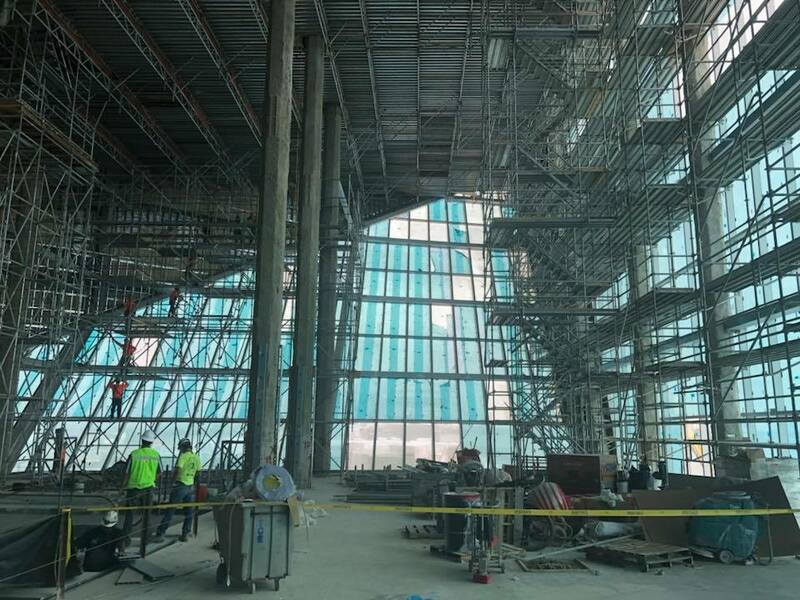 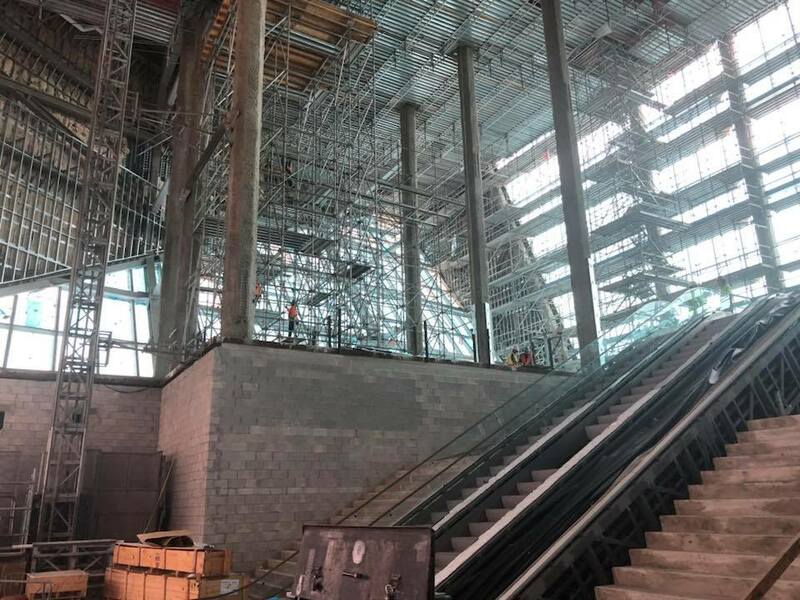 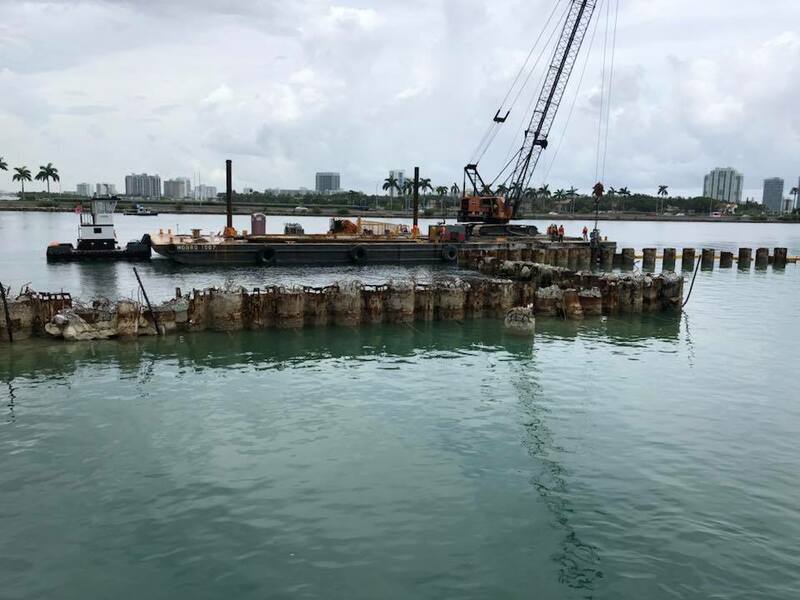 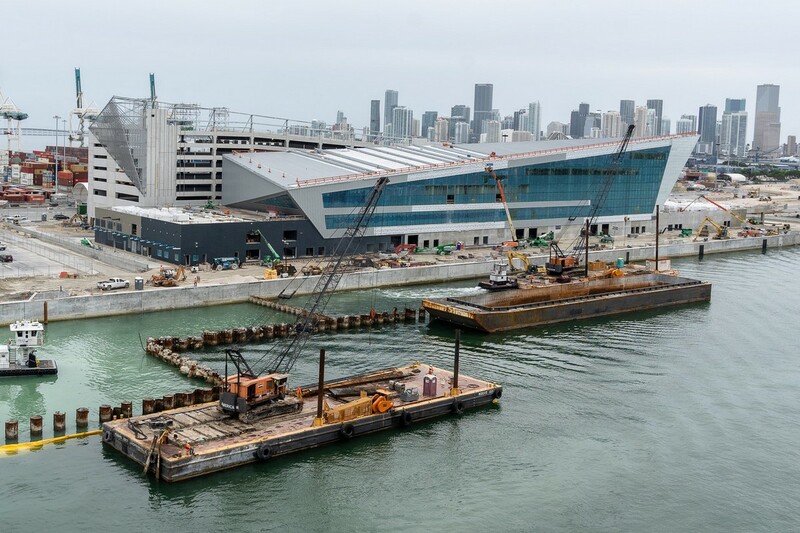 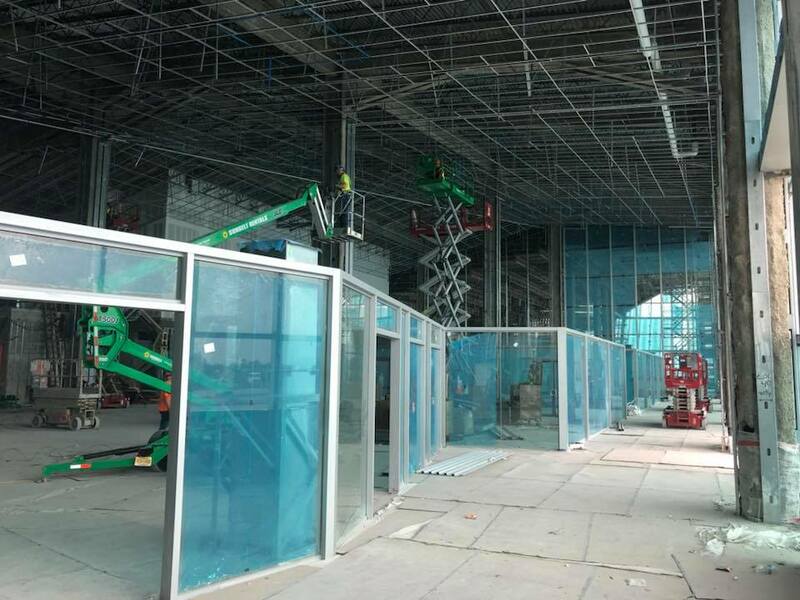 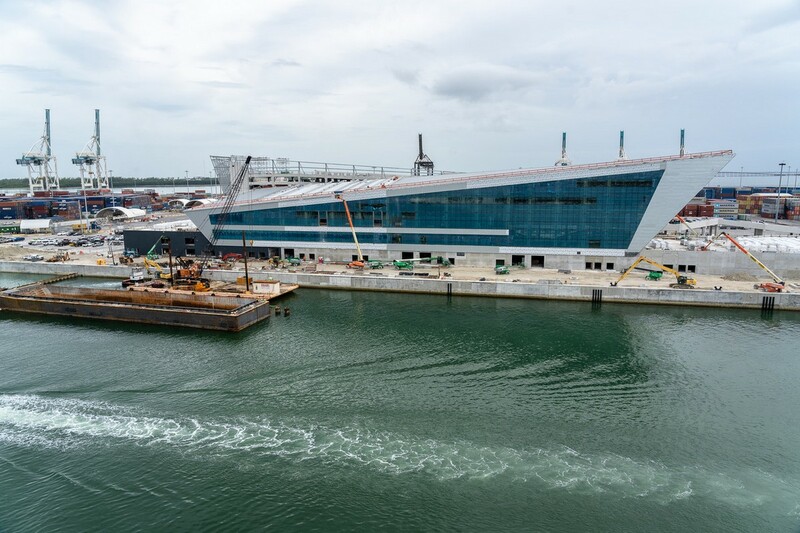 Royal Caribbean's Chief Meteorologist James Van Fleet shared photos of the construction progress being made on the cruise line's new cruise terminal in PortMiami. 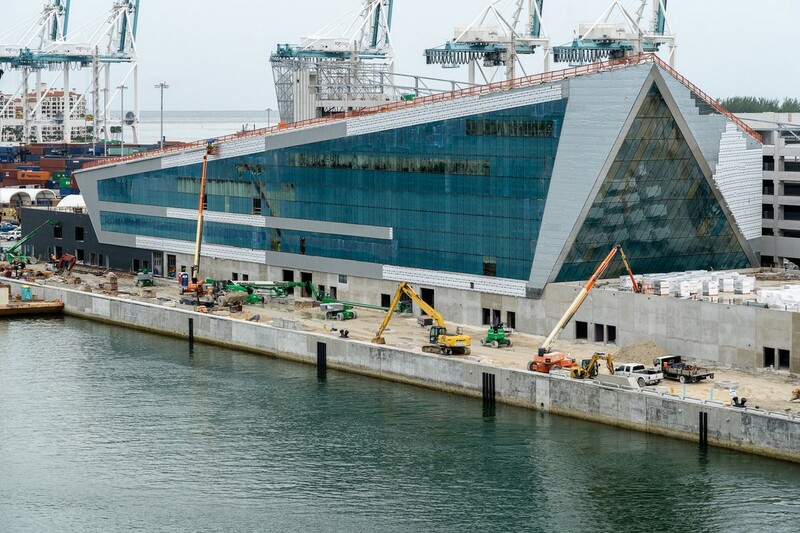 Van Fleet joined Royal Caribbean's International Marine Ops Team and took some behind the scenes photos of what will become the new home for Symphony of the Seas and Allure of the Seas. 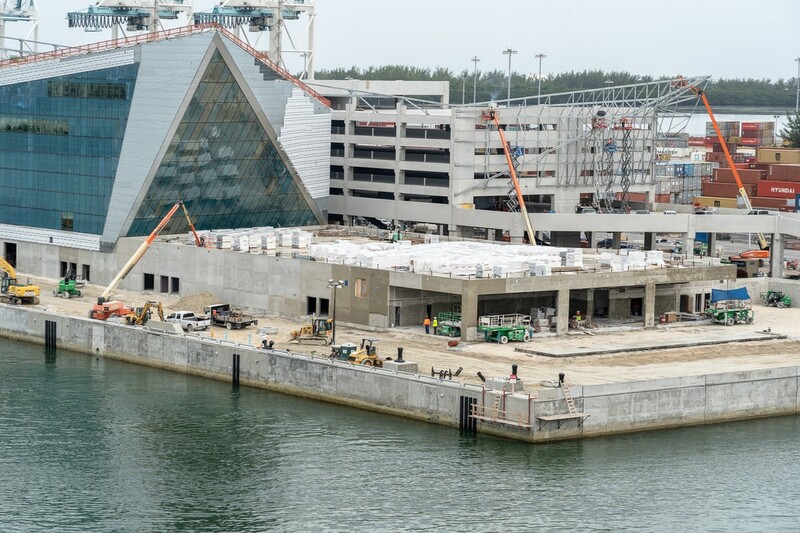 The new terminal, Terminal A, would house an angular glass center and a parking garage with about 1,000 parking spaces at the northeastern side of the port, designed by England-based global architecture firm Broadway Malyan. 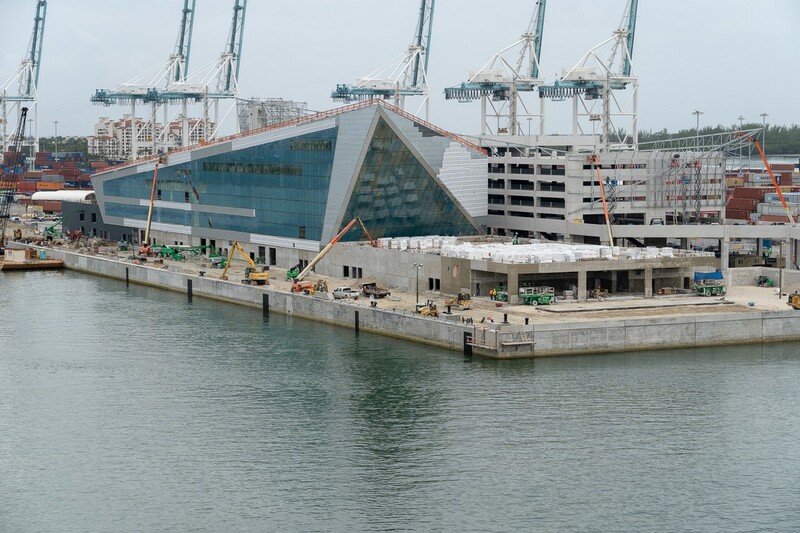 Here is a look at the exterior work being done, as taken by Royal Caribbean Blog reader Twangster.